1840 Census 1 Jun 1840� William was probably a free white male, under 5 years old, in Jeremiah Culpepper Jr., of Jackson Co., TX's household, on the 1840 Census on 1 Jun 1840 at Nash Co., North Carolina. Richard Atis, 18, M, TX, Farm Laborer. Wm Culpepper, M, 45, Boarder, (Bro-in-law) S, NC NC NC, Disabled. W.H. 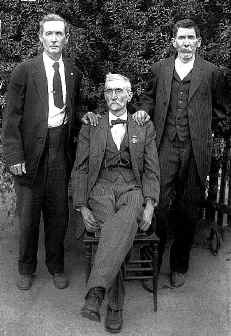 Culpepper, Head, M, Oct-1834, 65, S, NC NC NC, Pauper. Oscar Wilkerson, Cousin, M, 26, S, TX TX TX, Constable, Pct? Will H. Culpepper, Uncle, M, 76, wid, NC NC TX. 1840 Census 1 Jun 1840� Ann was probably a free white female, under five years old, in Jeremiah Culpepper Jr., of Jackson Co., TX's household, on the 1840 Census on 1 Jun 1840 at Nash Co., North Carolina. Thos H. Culpepper, Jackson Co., TX. 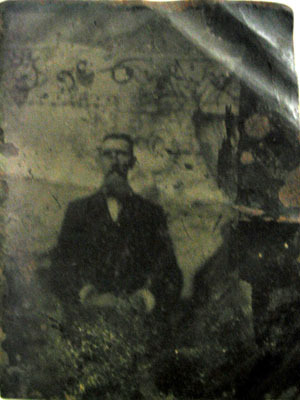 B. Culpepper, M, 37, Head, S, NC NC NC, Farmer. 1840 Census* 1 Jun 1840� David was listed as the head of a family on the 1840 Census on 1 Jun 1840 at Muscogee Co., Georgia. David? Culpepper, 1 M0-10, 1 M26-45, 1 F16-26. David Culpepper, Shows District, Wilkinson Co., GA, drew lot 135-4 in Muscogee Co., GA, 16 Mar 1827. Research note* 12 Jun 2004� That Edmund was a son of Christopher is based on early family tradition, and circumstantial evidence. Edmund Culpepper and Hester McCook on 31 Aug 1821 in Wilkes Co., GA.
Stewart Co., GA Deed Book A, page 159. Edward Culpepper and Elizabeth Williams on 27 Dec 1842 in Muscogee Co., GA.
Betsy Culpepper, 58, F, GA.
Isaac Royals, 80, M, NC. Wilson Culpepper, 2 M20-30, 1 F0-5, 1 F20-30. Wilson Culpepper and Mary A. Hale on 11 Sep 1829 in Jones Co., GA.
Mary Culpepper, Mother (sic), F, W, W, 75, GA, Keeps House, GA/SC/SC. Jeremiah Culpepper and Mary T. Tucker on 15 May 1831 in Jones Co., GA.
Jeremiah Culpepper, Shows District, Muscogee Co., GA, drew lot 805/11/1 in what became either Gilmer or Union Co., GA, 1832. Stewart Co., GA Deed Book D, page 226. Stewart Co., GA Deed Book K, page 445. Mary Culpepper, 50, F, Black, Keeping house, VA.
Find A Grave Memorial# 57089912. Some have believed that Henry Sr's wife was Martha Temperance Wall sometimes known as Matilda Bonner. I own Henry Jr's Bible but no maiden name was listed. I could believe that she connected to a Wall/Walls family because of the naming pattern of some of Wall men in Schley Co., GA. who would have been contemporaries of Martha. Also my grandmother had said we were kin to some Walls. I was a child and did not ask how we connected but I never met any Walls when I visited her. Recently I stumbled onto a genealogy forum for the Tucker family. I had never heard of Tuckers in my family but one source said that on Emaline Culpeppers' death certificate her mother's maiden name was Tempy Tucker and her father was Henry Culpepper. She died ca 1823 in Opelika, AL. Also her sister Mary's death certificate gave the same information. I ordered a death certificate for each sister. The dept for those records made a mistake and sent me the death certificate for the wrong Mary but Emaline's was correct. It does indeed list her mother as Tempy Tucker and father as Henry Culpepper. 1850 census has name (almost illegible) as Temperance. Family Bible of son Henry has "Tempy." 1860 and 1870 census records list name as "Martha." Martha and Tempy appear to be the same person. John Culpepper and Celia Pickens on 9 Jan 1842 in Muscogee Co., GA.
Slave Schedule: Chattahoochee Co., GA, John Culpepper owned 1 slave: 16F. 1840 Census* 1 Jun 1840� James was listed as the head of a family on the 1840 Census on 1 Jun 1840 at Darlington District, South Carolina. from John A. Culpepper pension file. Darlington Dist., SC, Deed Bk O, p. 104. Bertie Culpepper, Dau, F, U, W, U, LA/SC/GA. 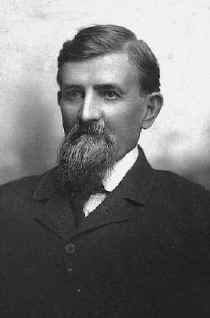 + David Wesley Culpepper, 9 Aug 1845 - 23 Jan 1919, "Co. D, Terrell’s Bat." 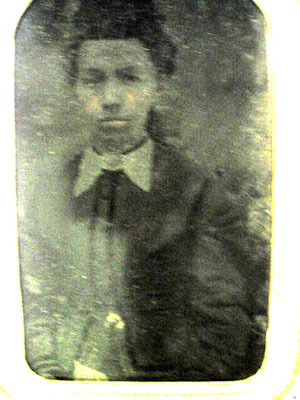 + Queenie Culpepper, 10 May 1860 - 11 Dec 1940 (Born in Muscogee Co, GA and died in Chipley, GA). 1840 Census 1 Jun 1840� John was probably a free white male, under 5 years old, in James H. Culpepper's household, on the 1840 Census on 1 Jun 1840 at Darlington District, South Carolina. Civil War* between 1861 and 1865� John was a Private in Company F, 6th Alabama Infantry, organized in Russell County, AL. He enlisted 15 Aug 1862. He received a gun shot wound to the right arm in the Battle of Chancellorsville, Virginia, (May 2 to May 5 1863). On 6 May 1863 he was sent to the Receiving and Wayside Hospital, or General Hospital Number 9, in Richmond, Virginia. 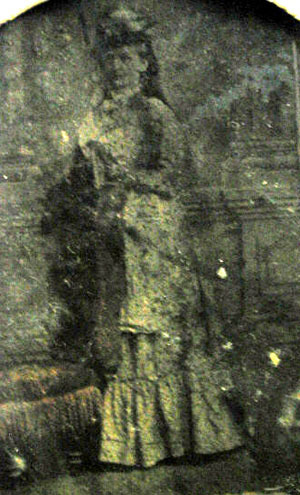 He was captured 19 Sep 1864. On 19 Sep 1864 he was sent to the Depot Field Hospital in Winchester, Virginia, with flesh wounds to the hip and shoulder. These were treated with a "simple dressing." He was held as a prisoner of war until 20 Feb 1865, when sent to Point Lookout, Maryland, for exchange. Penelope M Culpepper, 1, F, Wh, GA.
Polly Forh? Culpepper, Wife, F, 65, M1, md-44, ch 5/3, GA GA GA.
Photographed* say 1866� She was photographed say 1866. According to his widow's pension application. Alonzo Culpepper, 7/12, M, Wh, AL. 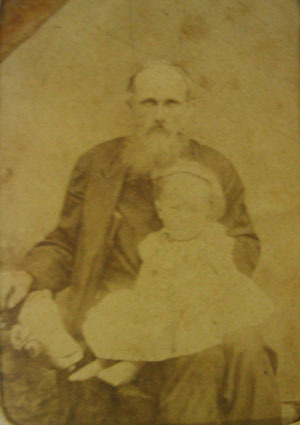 David Culpepper, Head, M, Aug 1845, 54, Wid, GA/GA/GA. Queenie Culpepper, Wife, F, 51, m1-7 yrs, ch 0/0, GA/NC/FL. David W. Culpepper, served in Terrell's Battery GA Light Artillery, see Queenie S. J. Culpepper, widow, of Muscogee County, GA.
D. W. Culpepper, d. 21 Jan 1919 in Muscogee Co., GA.
Bettie Culpepper Rhymes, 25 Feb 1925, 80 years, Ouachita Parish, LA. 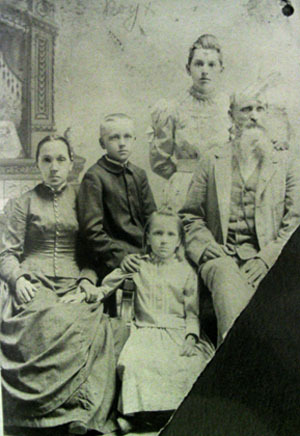 2nd Ward; Ethridge, Ida, dau with Ethridge, Rabeca; age 14; school; b. LA; parents b. AL/AL 2nd Ward; Ethridge, Emma, dau with Ethridge, Rabeca; age 11; school; b. LA; parents b. AL/AL. 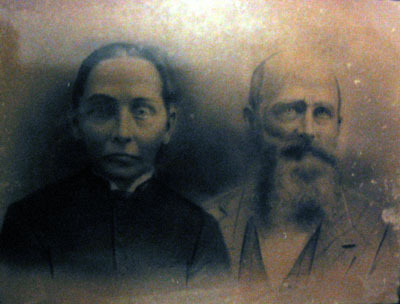 Rebecca B. Culpepper and Hasting J. Rymes, 7 Nov 1894, Ouachita Parish, LA. Susan Culpepper, Other, F, S, W, 25, AL/SC/SC. Susie Culpepper, 24 May 1926, 75 years, Ouachita Parish, LA.